Like an endless blaze roaring forth from the gates of hell, the solar wind is majestic, awe inspiring, and terrifying. The only proof you need that the Sun is the one and true master of our solar system is this never-before-seen view of a torrent of charged particles bursting out of our star’s corona. It’s a processed version of a series of images collected by NASA’s STEREO spacecraft, a pair of space-based observatories that have had their eyes on the Sun since 2006, watching as solar flares and coronal mass ejections evolve on its surface before blasting off into space. 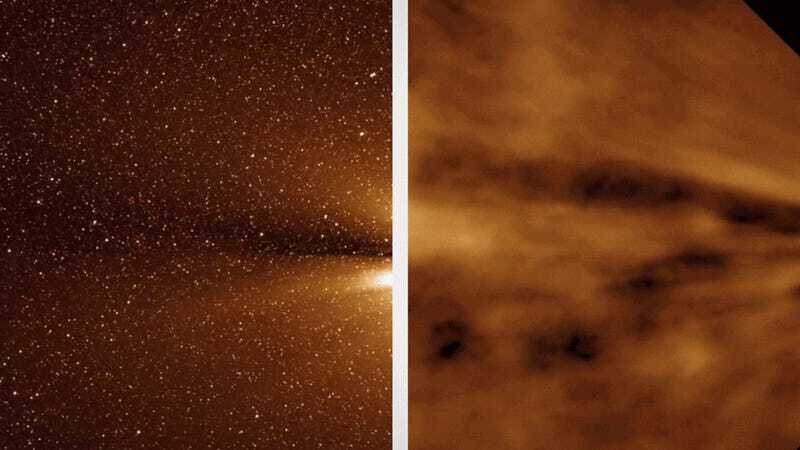 For the first time, scientists at NASA’s Goddard Space Flight Center and elsewhere have used STEREO to image the edge of the Sun’s atmosphere, or corona, and put together a detailed picture of how the endless stream of high-energy particles known as the solar wind forms and escapes. In doing so, they’ve managed to solve an longstanding stellar mystery: why, as the solar wind travels away from the sun, does it quickly devolve from a structured series of rays into a gusty, turbulent mess? The answer lies in the magnetic field lines along which the solar wind travels. It turns out the Sun’s magnetic control over the solar wind dissipates quickly as it exits the corona, dropping much faster than the pressure of the material inside the plasma itself. Released from their magnetic confinement, sharply defined rays start to break up and fan out, creating something more akin to a misty spray. 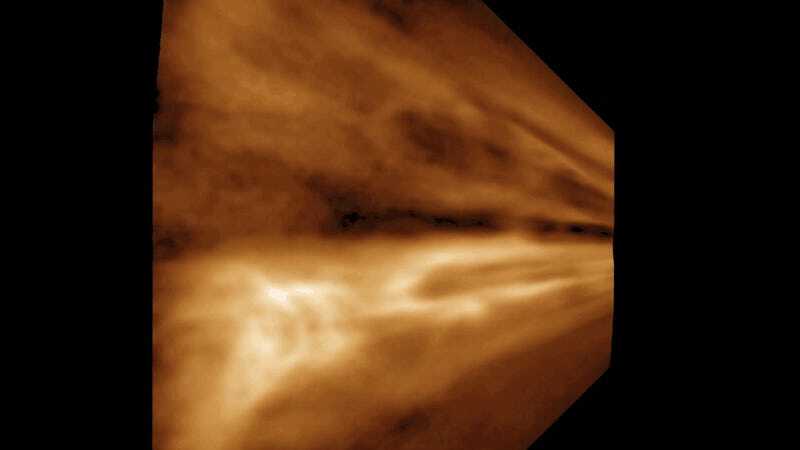 “Eventually, the material starts to act more like a gas, and less like a magnetically structured plasma,” Craig DeForest, lead author of a new study published in the Astrophysical Journal said in a statement. Aside from reminding us that we’re ants at the mercy of a blowtorch, why are scientists so interested in studying the Sun’s energetic outbursts? For one, by understanding when and why the Sun is active, we can develop better models for predicting space weather here on Earth, and hopefully prevent an apocalyptic solar storm from annihilating us all. Also, the first reason. The Sun is one gnarly beast.